The medical field has gained a lot of attention over the past couple years. We are dealing with unique problems in that area. Baby boomers were the first large explosion in the American population from the late 1940s to the mid-1960s. This means there is a large portion of our country’s population that falls into this baby boomer generation. The baby boomer generation is getting older and nearing job retirement age. They might be need of special medication attention as they age. This is a growing issue in the United States. As it stands, the medical field does not have enough nurses and doctors to deal the upcoming demand from these baby boomers. Hence, nursing has become the new and growing field for college students. More men and women are flooding into the nursing industry than ever before. There are many lucrative professions to pursue in nursing. The most popular being the registered staff nurse. Other career paths are emerging as well. The most popular career paths include travel nursing, flight nursing, nurse practitioners, and many more. However, few have heard of nursing informatics. The profession consists using nursing experience and applying it the technology that healthcare facilities use. Such as how to function patient care technology systems and electronic medical records. Nurses that work in this field are basically responsible for all the supporting many of the technical and computerization needs related to electronic medical records and patient care. They also work as the middleman between the hospital and information technology vendors. They are the experts in the industry when it comes to computers and software. 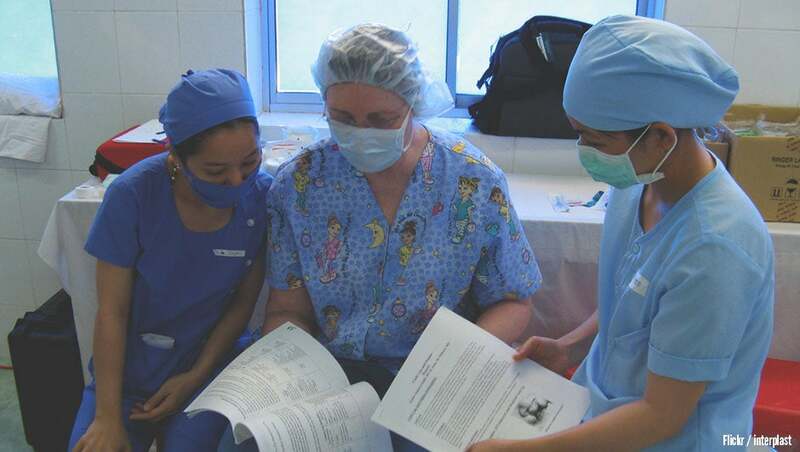 They help implement and provide training for their fellow registered nurses and other medical staff. They run reports on records, collect data, customize software for particular users, perform system and software updates, etc. The list goes on. Most people do not think of computers and technology when they think of nursing. We think of traditional healthcare and medical responsibilities. Why would you consider a career where you have to know both advanced information technology and nursing skills? One reason might be because of the pay. These nurses are compensated well. According to a survey taken by HIMSS 2014 Workforce Clinic, the average salary for this profession was just over $100,000 and the median salary was about $93,000. The average for starting Informatics Nurses was about $75,000. The compensation is definitely one of the upsides of this job. Informatics nurses can work at hospitals and clinics. However, they will find the more high paying jobs at consulting firms, IT and health vendors. Cities in the northeast pay well above the average income for informatics nurses. Boston, New York, Philadelphia, Washington DC, along with Los Angeles, Chicago, Denver, San Francisco, and Seattle are great places to pursue this career path. Nurses of this profession usually need a bachelor’s degree in science of nursing and then experience as a clinical nurse working with electronic patient records. After working as a clinical nurse for 1 to 3 years, they can get a master’s degree in Health Informatics or Healthcare Management, Quality Management, or Nursing Administration with a focus on health informatics. Some informatics nurses have degrees in computer science. Most of these advanced or master’s degree programs will be 2 to 3 years long. Some of them have shorter in length but have less time off and vacation. While other programs are longer in length but have more planned vacations for students throughout a multi-year period. Make sure to choose a graduate program that is a leader in medical technology research. Technology is always advancing. It is imperative you get the most up to date education. This will best prepare you for your job and the responsibilities it will entail. Plus, you will know if your employer is up to date with computerization systems. That is very helpful. Many of years of experience working with electronic medical records and computer software related to patient care might replace an advanced or master’s degree. However, a master’s degree or some type advanced education is encouraged. Especially, as this career path becomes more and more competitive. It would serve you best to have the educational and work experience. Informatics nursing is truly for nurses who want to dive more into technology aspect of the medical business. Yes, there is a much less traditional patient care in this role. However, you are still helping the patients by making sure their information stays safe and that medical staff always has it on hand. By analyzing your records and treating you in person, they can figure out the best way to treat you. Definitely consider this area of nursing if you have any interest in technology, computers, or software. Not only will be compensated well but you can indulge in your interests. The field, like nursing a whole, continues to grow and will only become more competitive over time. Make sure to strike while the iron is hot. The internet was a great idea, initially. However in recent years, privacy concerns, data misuse, and more trolls than the underside of a fairy tale bridge have turned the world's digital community into a bit of a mess. Luckily, there are ideas out there for how to fix it.